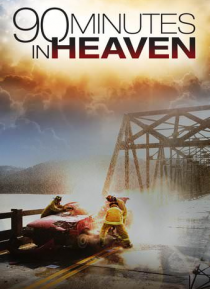 Based on a true account and New York Times best-selling book comes the feature film adaption of 90 Minutes in Heaven. During the 90 minutes he is declared dead after a traffic accident, Don Piper experiences love, joy and life like he's never known. But when he finally wakes in the hospital, Heaven's bliss is replaced by excruciating pain and emotional turmoil. With the support of his family and c… ommunity, Don clings to his faith and fights to recover the life he's lost.